Effectiveness in the digital era will be top of the agenda this year, as The Communications Council welcomes a stellar line-up of industry heavyweights, including the world’s leading authorities in marketing effectiveness Les Binet and Peter Field, to Australia for a series of summits kicking off on August 31. Proudly presented by The Communications Council in association with the Institute of Practitioners in Advertising (IPA), this year’s EffWeek Australia program will be the biggest yet with three summits, two IPA Residential Courses, 20 bespoke in-house member agency events held in three capital cities, and with the 2017 Effie Awards in Sydney. Binet, who is Head of Effectiveness at Adam & Eve DDB UK, and Field are scheduled to present the findings from their newly released IPA report, Media in Focus: Marketing Effectiveness in the Digital Era, which challenges the industry to reconsider approaches to efficiency in the changing media landscape. Based on their meta-analysis of IPA’s Databank - a database of advertising case studies submitted to every IPA Effectiveness Awards competition since 1980 - Binet and Field found that short-term measurement or ‘short-termism’ is undermining effectiveness in marketing, to the detriment of brands and their profit growth. Professor Karen Nelson-Field (SYD, MEL, PER), international digital media authority and professor at University of Adelaide, Founder of Media Intelligence Co, and winner of News Corp’s Women in Innovation award. Off the back of the IPA report findings, Field says that there has never been a better time to return to Australia and revisit the key principles of effectiveness in the planning and creative processes. “By ignoring the enduring effectiveness truths of the changing media landscape, businesses are undermining the tremendous potential of the new tools at the marketer’s disposal. To remedy this, marketers should return to a more balanced perspective on long versus short-term objectives, with around 60% long-term brand building and 40% short-term activation still the best combination,” Field said. 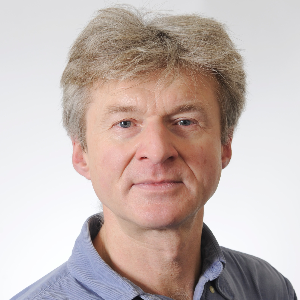 Peter Field has more than 30 years’ experience in planning and consultancy and has co-authored highly-respected marketing and advertising texts, including: Marketing in the Era of Accountability, The Long & The Short of it, Brand Immortality, and The Link Between Creativity and Effectiveness. He is one of the authors of the world’s leading online qualification for advertising effectiveness, the IPA Eff Test, available exclusively in Australia through The Communications Council professional development program. Les Binet is recognised as an expert in econometrics, and has won more effectiveness awards than anyone else in the UK. In 2014, the IPA awarded him The President’s Medal, the highest honour it can bestow, in recognition of his achievements. Having studied Physics and Artificial Intelligence at university, Les joined the agency in 1987, and has devoted his career to measuring and improving the effectiveness of their advertising. He has written extensively on how advertising works, how to make it work better, and how to evaluate it. In particular, his work with Peter Field has attracted international attention. EffWeek Australia is proudly presented by The Communications Council, in association with the IPA. The Effectiveness Summits are supported by DDB and ThinkTV. 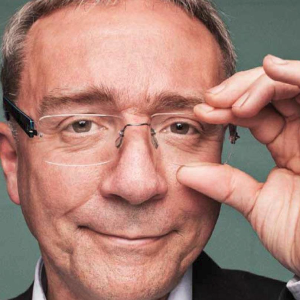 * Les Binet to appear at Sydney and Melbourne summits only. Rachel Kennedy to appear in Sydney only. Book your place now at the Effectiveness Summits or call 02 8297 3800 for more information.